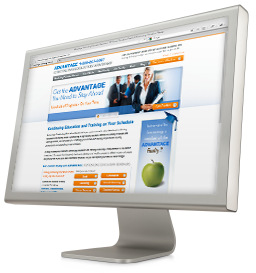 Founded by Dr. Rick Goodman, Advantage Continuing Education Seminars has become one of the fastest growing continuing education companies in its field. Starting with only one division in 2000, we now provide a full lineup of seminars and products to help further your knowledge and fulfill continuing education requirements in seven distinct categories, including legal, accounting, human resources, medical, construction, sales and marketing, and customer service. With hundreds of seminars held around the country each month, Advantage Continuing Education Seminars prides itself in delivering professional training and courses for continuing education credits, in a variety of convenient formats. Whether you prefer live seminars, on demand webinars, teleconferences, or books, we can provide you with the knowledge and the credits necessary to fulfill your license or professional training requirements, all in a format that is convenient for you and your schedule.